Employee, worker or self-employed: what difference does it make? Employees, workers and self-employed people may do identical work. And yet there employment rights and pay prospects could not be more different. Photo: kali9 / Getty. How you are categorised by your employer can make a big difference to your pay and rights. In simple terms, employees enjoy the full range of statutory work rights. Workers who are not employees have fewer entitlements, and the self-employed have almost none. The issue of employment status is a particularly hot topic these days as the nature of work becomes increasingly casualised. If they are not careful, people are more likely than ever before to find themselves working on (and sometimes below) minimum wage and on-demand at the beck and call of their employer. Whether your employer is good, indifferent, ignorant or downright dodgy, it pays to be clear about what you are entitled to. As an employee, you are essentially a permanent member of staff with an open-ended contract of employment. Your employer tells you what work to do, and when, where and how to do it; can subject you to a disciplinary procedure; and pays tax and National Insurance on your behalf. Check your contract of employment to see if any of these rights require a minimum length of service before you qualify to receive them. Still unsure whether you are an employee or not? More information on the GOV.UK website. 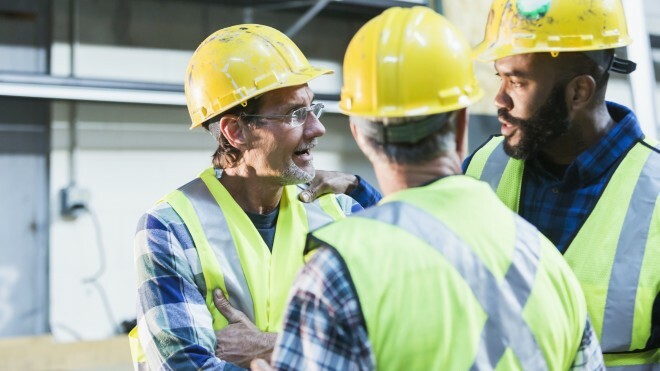 If you fall into the worker bracket, you will have a personal contract with an employer – often for a set period of time – but the employer may not have the right to control when and where your work is done. A problem can arise when people employed through an agency, on zero-hours contracts or working a succession of temporary contracts are classed as workers, even though their work is identical to that of an employee in all but name. What used to be called ‘temping’ – with its connotation of short-term, one-off assignments – is no longer appropriate shorthand for agency work. These days, half of all agency workers are on permanent contracts, and three-quarters are in full-time work. But because they aren’t classified as employees, companies can get away with offering them fewer rights and less pay than permanent staff doing the same work. For additional rights and if you are still unsure whether you are a worker or not, there is further information on the GOV.UK website. pay your own tax and National Insurance. The only statutory rights to which you are entitled are health and safety protection while you are working for an employer, and in some cases protection from discrimination. Some unscrupulous employers deliberately miscategorise their own workers as ‘self-employed’ in order to avoid granting them the basic employment rights they are due as workers or employees. This is a big problem with the emerging gig economy. In the UK, if you are categorised as a worker or employee you have the right to join a union at work and have them negotiate on your behalf for better pay and conditions. But not if you are ‘self-employed’. To find out if you are genuinely self-employed, visit GOV.UK’s self-employment page. The good news is that we’re challenging those corners of the economy where false self-employment has taken hold – and winning. In October 2016, a tribunal ruling in favour of two Uber drivers backed up the GMB union decided they (and by logic, 40,000 more) were in fact workers not self-employed contractors, and therefore had the right to holiday pay, paid rest breaks and at least the minimum wage. This set a vital legal precedent that others are already following. Deliveroo couriers who forced a climbdown in August 2016 over a new pay structure their employers tried to impose on them are now working with the Independent Workers’ Union of Great Britain (IGWB) to demand union recognition from their employer so they can get round the table to negotiate better pay and conditions. Many unions are specially set up to help freelance workers. If you're in a profession dominated by self-employment, there may be a union that caters specifically to what you need. That could be as an actor or stage manager getting help from the Equity union to negotiate with your employer for better pay and conditions for you and your colleagues. Or a photo-journalist seeking to get a media outlet to respect the copyright on your work with help from the NUJ. To find details of unions operating in your sector, use workSMART’s Union Finder.